When was the last time you applied for a job by fax? My first resume in the early '90s was typed on what hardware maker Smith Corona called a “personal word processor”. It definitely processed my words! It was a computer keyboard attached to a printer the size of a small suitcase and it seemed to weigh a ton. The keyboard had a protective cover that flipped upwards and back, exposing a small monochrome computer screen. The machine had a typewriter mode which worked as you'd expect – each letter printed as your fingers touched the keyboard – but I don't think I ever used it for work, it would waste too much paper. Instead, I would use the more computer-like word processor mode where whatever I typed appeared on screen and could also be saved to a diskette. I think it even had a simple auto-save mode too. At the time, it was very cool as a “new age” typewriter and I was so productive with it that I continued using it for a while even after we bought our first PC. 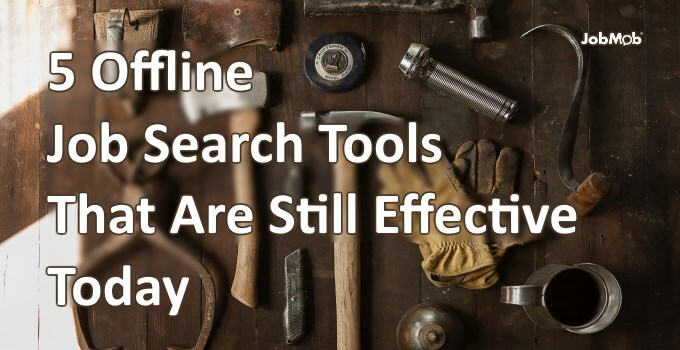 While you wouldn't want to go back to the days of typewriters and whiteout for your job search documents, other tools in the old job search toolkit that date back to that era are still useful today because so few other job seekers are using them. Which of these tools have you used most recently for job hunting? Most computer owners also have printers, and can print as many copies of their resume as they like. But what happens when you're at a job fair and start running out? Or maybe you just forgot to print enough copies before you came? Sure, it's cool to have an iPad or another tablet, but they need to be charged, they break easily and they will empty your wallet. They're still not for everyone. Personal organizers, on the other hand, don't cost much, don't need to be charged and won't break so easily when dropped. Use one to manage your schedule, take notes, jot down ideas, organize newspaper clippings (e.g. job listings), store business cards (both yours and others') and more. Plus, just carrying one makes you look professional. Who uses a fax machine anymore? Well, actually, most businesses do, judging by their websites and their listings in business directories such as the Yellow Pages (or Dapei Zahav in Israel). So why not fax in your resume instead of emailing it? A faxed resume can't be automatically flagged as spam, can't be blocked as suspicious by an antivirus program and just like with any other fax, you'll get a printed confirmation that it was sent successfully, which is more than you usually get. Have you seen my 33 Most Unique and Funny Items Sent To Recruiters? Almost all those things were sent via snail mail or a courier service like FedEx or UPS. And all those things were memorable and attention-getting to those recruiters. While we've covered why you need a smartphone to job search, most job seekers are still too hesitant to pick up the phone and dial. Yes, you should follow up after interviews, or to even see why you never received a response to your resume. But what about calling to see if there's even an opening in the first place? 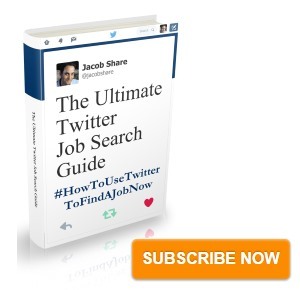 Which classic job search tool have you used most recently? Did it help? Tell us in the comments. 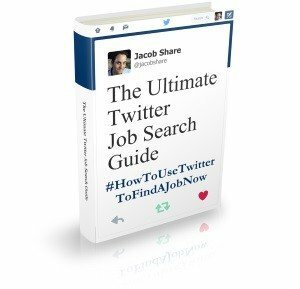 Subscribe to JobMob via RSS or email and follow me on Twitter for more career search tools that not enough job seekers are using. Ha – I do miss that sound, but yes I agree the noise level was piercing for sure!